You people are thinking that- "oh god! she is addicted to modak's", Ha Ha, Actually I love modak's, and Ganesha chaturthi has come so I can't remember anything without these Modak's but I wanted to change the shape so I have used different mould, you can use same original mould of modak. Heat ghee in a vessel, add coconut, jaggery- Keep stirring continuously on medium flame and make a sticky solution. Roast Semolina in nonstick pan in low heat till it slightly turns brown. add ghee,milk and sugar. Stir till mixture becomes sticky. Add salt little bit and take off from flame, cover it. Make small balls of dough and roll it in round shape. like a cone on top. 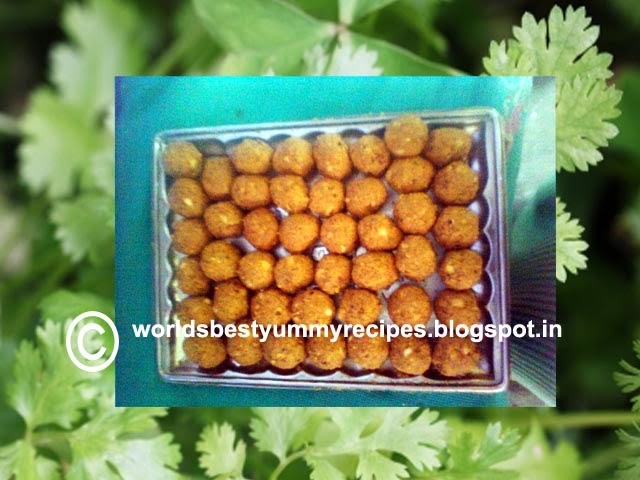 It is my all time favorite sweet, mainly it is good for ritual ceremonies, In India people generally offer this laddoo to god as Prasad mainly in Hanuman jayanti, I made this laddoo for fast, it was delicious, Besan laddoo is very popular in northern India. 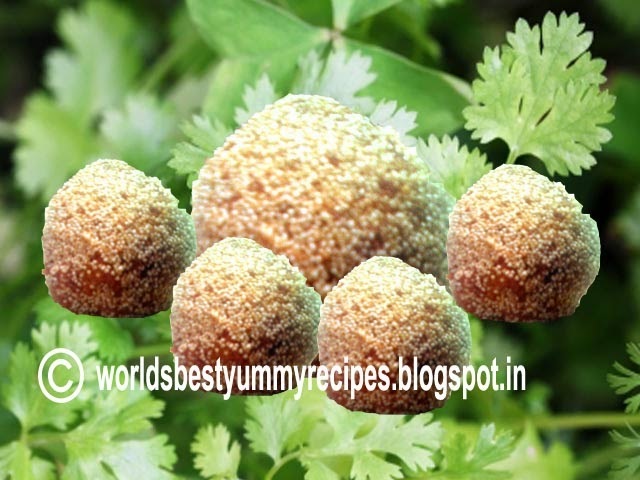 remember when you make laddoos, after frying the besan or gram flour, put little bit of ghee or clarified butter to your palm, it prevents sticking of flour in hands. 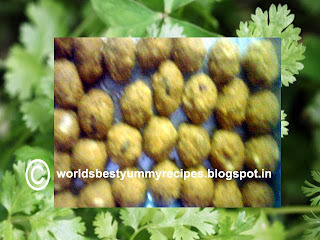 Note:-you have to make laddoos when the mixture is warm otherwise you can’t make laddoos. When it releases an appetizing smell remove it from the heat and allow cooling. Make a soft dough of the flour by adding oil and salt. Heat ghee in a vessel, add jaggery, coconut and sesame seeds. Keep stirring continuously on medium flame and make a sticky solution. Make small balls of dough and roll it. Put 1 tbsp of the above stuffing in the dough and pack it by taking all the corners up giving it a shape like a cone on top. 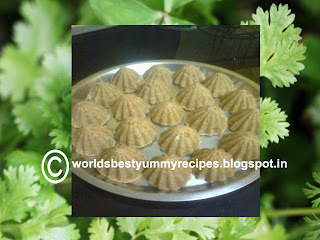 Take oil in a kadai and deep fry the Modaks till brown. Modak is a kind of sweet dumpling, Basically it’s a Maharashtrian(Indian) delicacy, but in Southern India it is also very popular, people offer modakas to god mainly in Ganesh chaturthi. 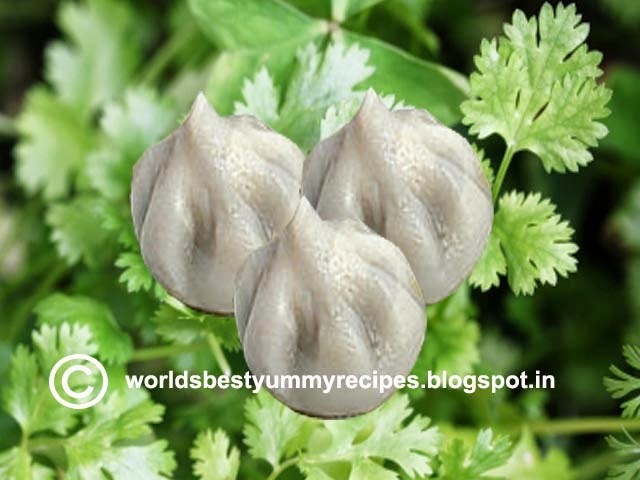 There are varieties of modak like “Ukadiche modak”, “Rawa modak”, “banana nachni modak” , “chocolate modak”, but “Ukadiche modak” ( steamed modak ) is basic one . I will try to post many varieties here, Modak is believed to be shri ganesh's favourite food. Make dough with rice flour. and warm water and salt. Now take the coconut & Jaggery in a heavy-bottomed pan for the stuffing. Add milk. Keep on low flame with stirring. The mixture should be fairly dry and turn a shade darker. Now make balls with the dough. Flatten them on the palm or on a surface into a circle. Place the stuffing in it and cover it completely with the dough. Fold the edges tapering to the centre. 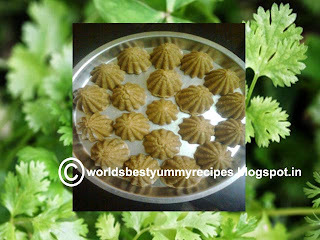 Now steam-cook the modaks in a cooker for 15 minutes until done. Parwal is the name of pointed gourd in India. This dish is tasty and unique. 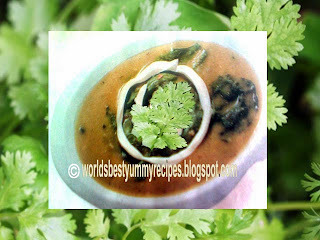 If you make this preperation of pointed gourd like this, every person who will have this dish sure appreciate you. 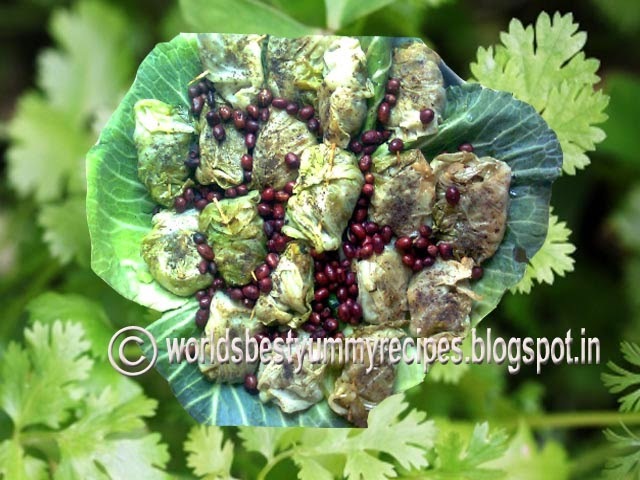 Cabbage is a good source of vitamin, Fiber. It reduces the risk of some cancer .In India cabbage is called as “patta gobhi” or “Bandha gobhi”. This whole dish is very nutritious due to green vegetables and cheese, so, what to think, Make it and enjoy .Recipe …………………..
First of all I admit that straining coconut milk is laborious ,so, buy a can of coconut milk. This dish was my mom's favorite. 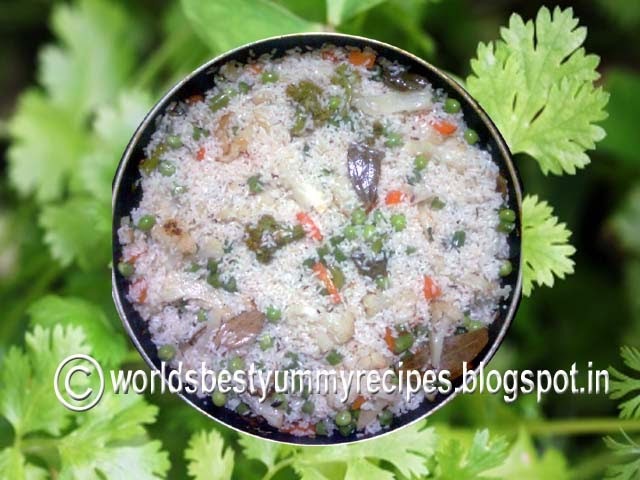 Actually she used to make this pulao, This is a tasty pulao, appropriate for ritual ceremony. "Coconut milk pulao", "fritters" and "Aloo dum"- wow nice combination! Cut all above written vegetables into big chunks. 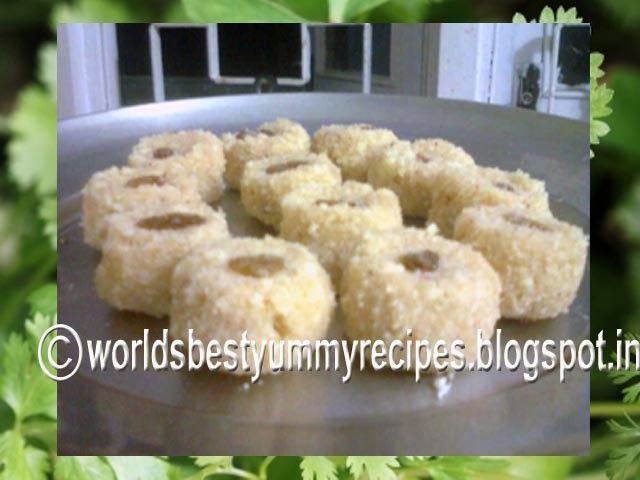 Fry cashew nuts in it. Now fry rice in butter. Add peas, salt, again fry it. Now add coconut milk,cover it ,let it boil. 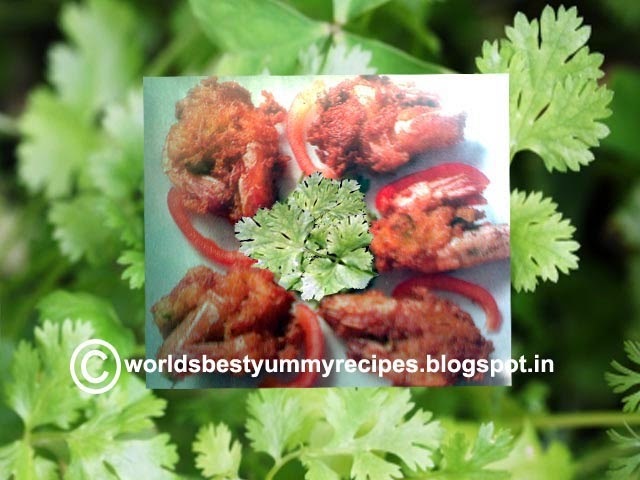 My brother is a great fan of prawns, For him I had made this, It was delicious. If you will make you found by yourself. 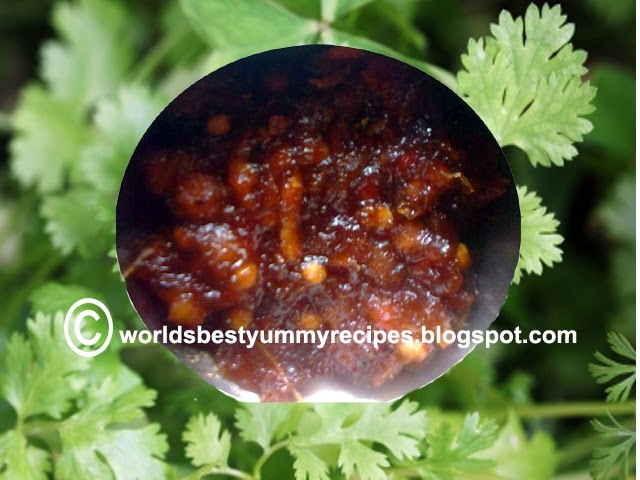 Yes, washing cleaning deveining Prawns are really lengthy but result is awesome so…,Recipe is here……………. “hariyali” is a Hindi word which means green ,so we can say it green fish, The day when I have made this my brother was asking me to make different preparation of fish, so, I have made this, He appreciated very much. 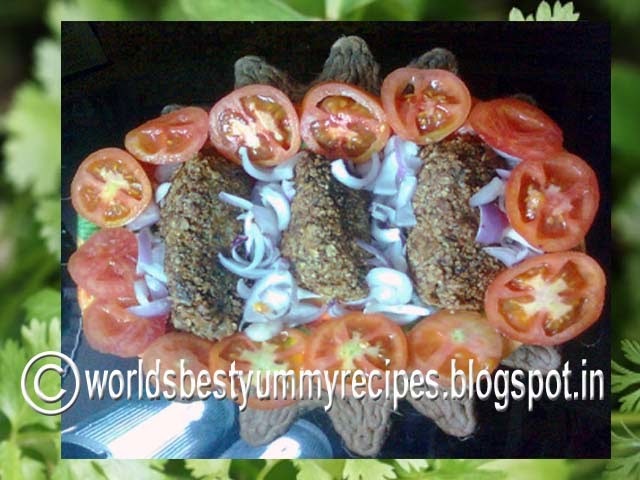 fish helps in protecting against heart diseases, cancer, Depression, Arthritis and so on. Coriander also known as cilantro, Chinese parsley. In Hindi it is said as Dhania, You can take fish according to your choice, I have taken here “ Rohu”. Now the recipe…………..
Green paste-Make paste of coconut, green chilies and coriander leaves. 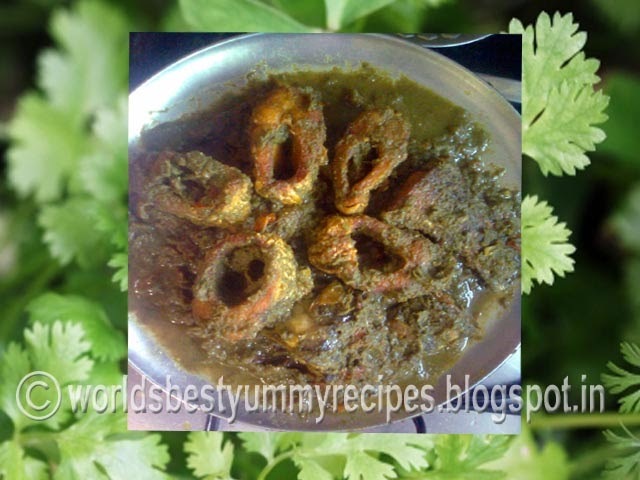 Fry fish pieces in hot oil. Take out fish pieces and keep aside. 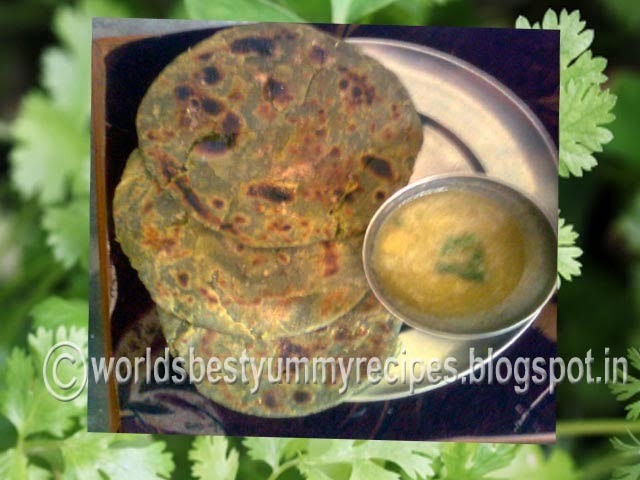 This is my all time favourite snack,my whole family likes it very much,I think you can too.I have given name pancake ,it is not a type of basic pancake which is made from starch based batter, I called it pan cake because it is made in frying pan and looks like pancake but believe me it is very tasty and nutritious, Bengal gram dal has vitamin, protein, sodium, Iron etc., Coconut has vitamins, calcium, magnesium, phosphorus, Iron , potassium, Zinc . we can have it in lunch or dinner too. Guava is a fruit everybody knows. In hindi people say “Amrood”, it has different species, It consists lots of nutritional values like dietary fiber, carbohydrates, energy, fat etc., My mom had taught me to make Jelly and Jam ,She is no more but my first teacher was my mom. I am giving tribute to my mom by posting this recipe in blog, not only that when I was kid I hold the strainer while making the jelly and watched mom how she was making Jam and jellies. 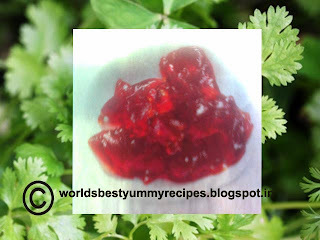 I have tried to make jelly like my mom. Bengali people never think any ceremony without sweets may be its “sandesh”, Payesh”,”Rosogolla”,”pantua” and so on, List is so long that I can’t remember the names and write over here but gradually I will post some of those recipes. 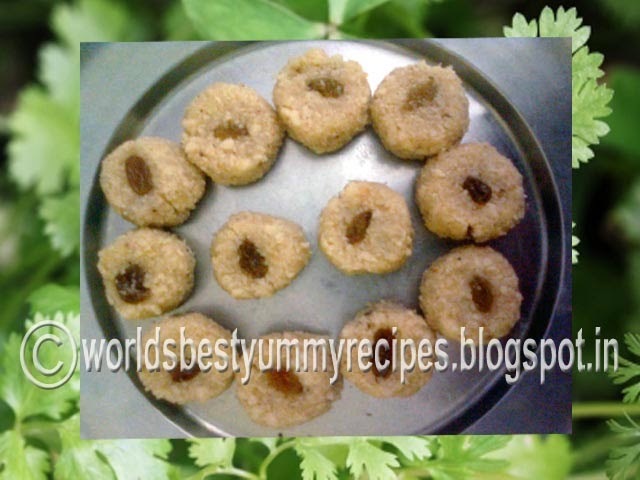 If this chhena mixed with coconut scraps then imagine what the taste would be.Recipe……………………….. When we were in Chhattisgarh(India) , we found carrots were of red-pinkish color but here in Guwahati(India)carrots are of orange color but taste is almost same, so, don't bother for colors. Carrots are good source of vitamin A, good for the eyes. 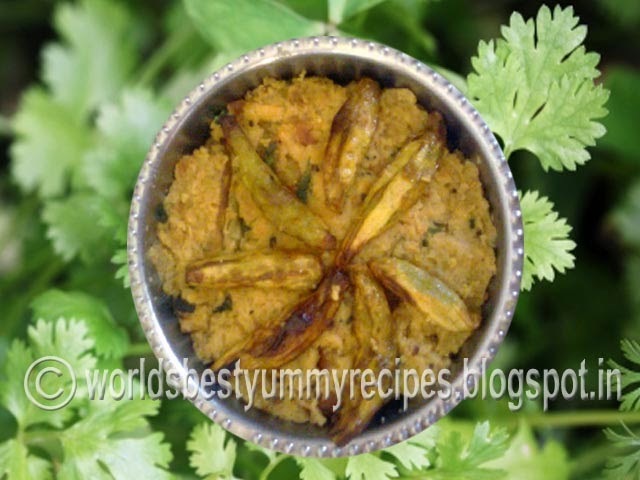 This is an Indian dish, not only it looks good but it tastes good too, very easy to make. 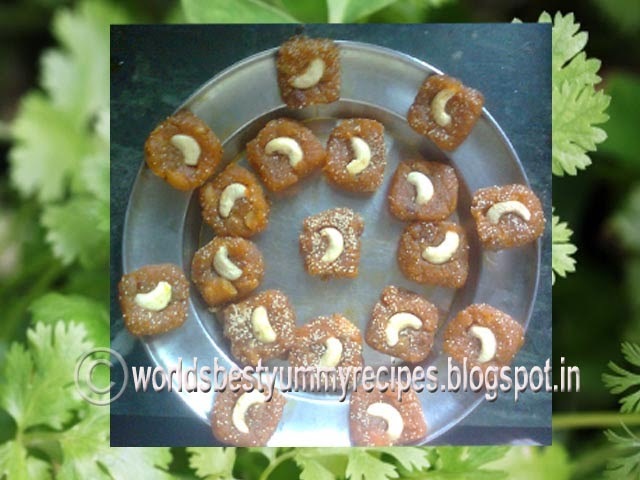 People makes this dessert in different ceremonies like marriage, B'day parties etc. 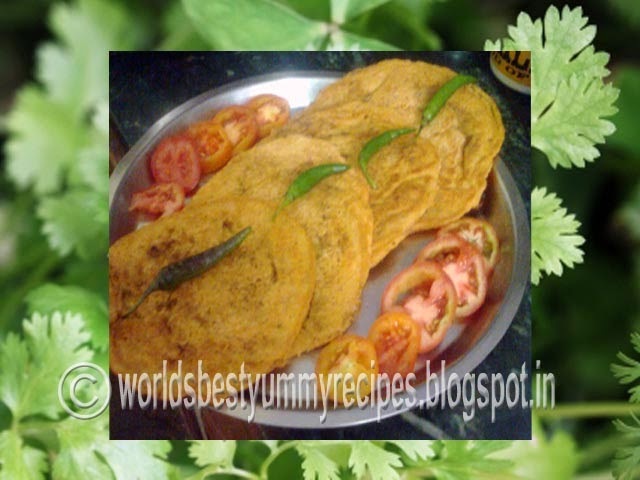 It is a famous dish of North India. Bael another name is Bengal quince, wood apple, stone apple, golden apple---- a species of tree in India. 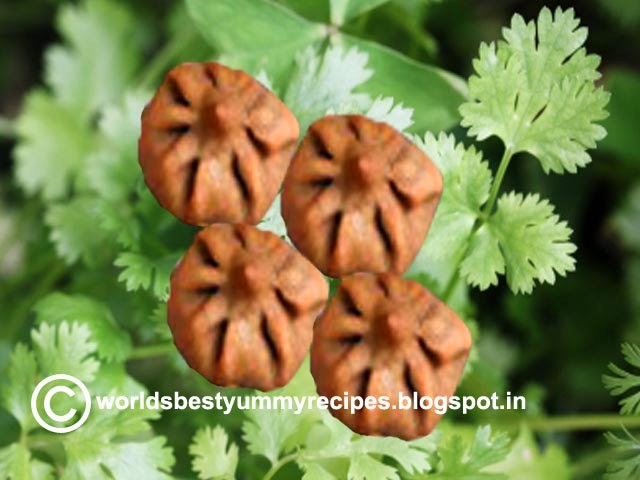 Its very healthy fruit, It has its medicinal value, it helps in digestion etc., Bael is an aromatic fruit. It has some gum bearing texture.